This page is a history of my great-grandfather, who was a minor folk legend, that was previously published elsewhere on the web, compiling information from several books. I have reproduced it here with permission of the original author. Born in about 1864 in Cotsgrave,Nottingham,England to Robert and Catherine (Scrimshaw) Bird . When Arthur was a young man, his father heard tales of the Canadian government paying for each adult male immigrant who settled on the prairies. Robert Bird then packed up himself and his four sons and moved to Clumber, Saskatchewan. Growing tired of prairie life a decade later, and hearing stories of the Klondike, Arthur then headed to the Yukon to join the gold rush. However unlike most prospectors who travelled by horse, carriage, or steamship, Arthur built a series of rafts and poled his way from Edmonton, Alberta, up a series of small rivers to eventually arrive in Dawson City. By the turn of the century he was panning for gold in Bonanza Creek, and pulling in enough to make a living for himself and his family. During this time he was also a neighbour of noted poet, Robert Service. In 1908 Arthur moved his family to Victoria, BC where he built them a house at 3108 Albina St. 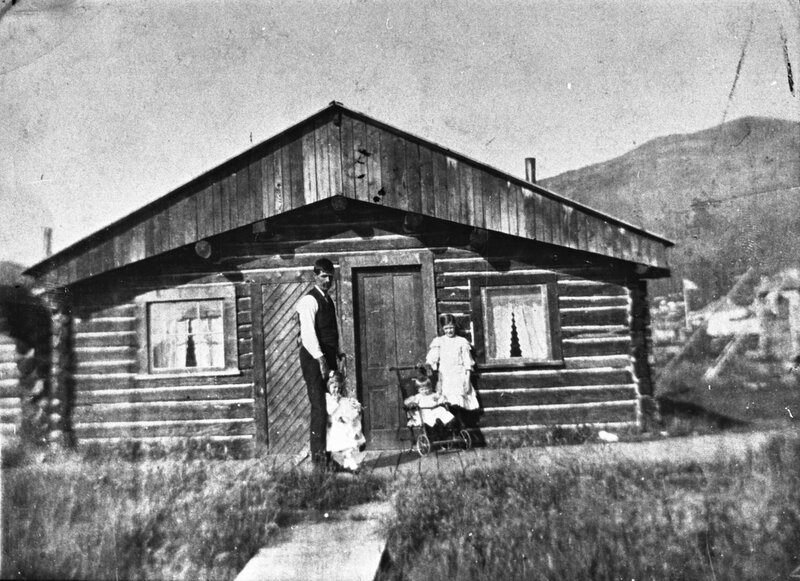 He would later decide the growing town was too large and took a job in Cameron Bay, NWT (later known as Port Radium) where he worked as a carpenter, while sending money back home to his wife and children. It was during one of these expeditions to Cameron Bay that Arthur competed in a local sports day, in which he competed against Olympic runner Tom Longboat and beat him in a footrace. Among the residents of Cameron Bay, Arthur became legendary for his endurance. At the age of 70 he was still routinely winning sporting events against much younger men. In the 1930's Arthur built a cabin in the wilderness about 100 miles from town, which he would use as a base camp for prospecting. His search was successful, and he discovered a large coal deposit which he was preparing to mine. However he never told anyone of its exact location, and died before he could work the claim. In the fall of 1936, Arthur was staying at his cabin on McVicker Arm on Great Bear Lake as usual. However instead of leaving on schedule, he had a flu and stayed an extra week or two. During this time the winter storms came in and trapped him in his cabin, over 100 miles from the nearest town. Sometime between Christmas and the New Year he decided to attempt to hike back to Cameron Bay, and was never seen again. Following Arthur's lead as a prospector, his sons were told of the location of the famous Leechtown lost mine by Ed Mullard, who had allegedly discovered it originally, on his death bed. They made expeditions to the region to search for it but never found the lost mine. After his death, the family home he built in Victoria, BC remained in the family until 1998 when it was finally sold. As of 2008 it is still standing, and is listed as a Saanich heritage home. Arthur's two sons and one grandson lived in the same neighbourhood their entire lives. Broke both my shoes (snowshoes), what a pair I've made out now of Babiche. Everything is against me. 26 (Nov.?) A dull, dark, miserable day, not too cold. 3 p.m. a dog just gone past; lost, I guess. 30 last of Nov. Quiet and snowing, you can almost hear the flakes drop. Noon Dec 2. Sun just coming up; cold. 4 (Dec.) 3:30 Near dark, very still and lonesome feel. 5 (Dec.) Grand day, sun out and Chinook wind. 6 Dec. 9:15 a.m. Still dark. Just to tell you its raining and blowing. 8 (Dec.) A plane has just past heading for the coal and I am here. I'll send this if they call coming back. 9 (Dec.) Plane never come back just down to see me, I am near nuts, dark at four o'clock. Flash light good night. 13 (Dec.) 10 a.m. Candle light. No frost and me 15 miles from the coal. I am almost crazy, you no money, and me in debt and no meat, flour, beans, sugar \& tea; it's tough. 19 (Dec.) 9:00 a.m. Moonlight. This is the worst winter I ever had. What I stayed here for 15 miles to the coal just because I was all in with a cold. I am near crazy for being such a fool. Good-bye. 24 (Dec.) Going to bed. A mild night. Wish I was home. Good-night XX6.30 Merry Xmas Ma. Xmas day 11 a.m. Loansome and blue. 31 (Dec.) Hoping our next will be better dinner, beans, tead, bannock. Cold wind blowing. 1 Jan. 1935 Everything look black. No fur, No money and near 70 and 120 miles back. Don't think I can make it.